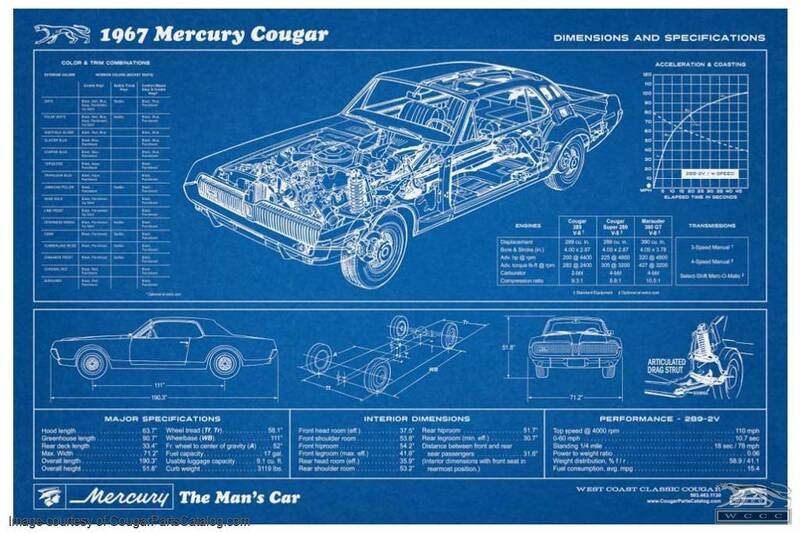 This great new '67 Cougar "blueprint" poster is a cool display piece for any Cougar fan. 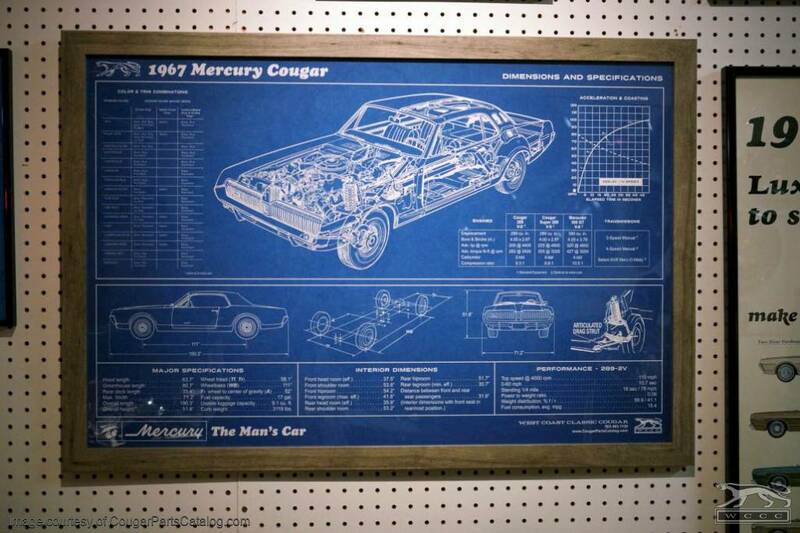 We did our homework and compiled information from multiple sources, including official Lincoln-Mercury documentation and independent magazine articles about the 1967 Cougar, to create this official-looking piece. Printed on heavyweight 48lb. 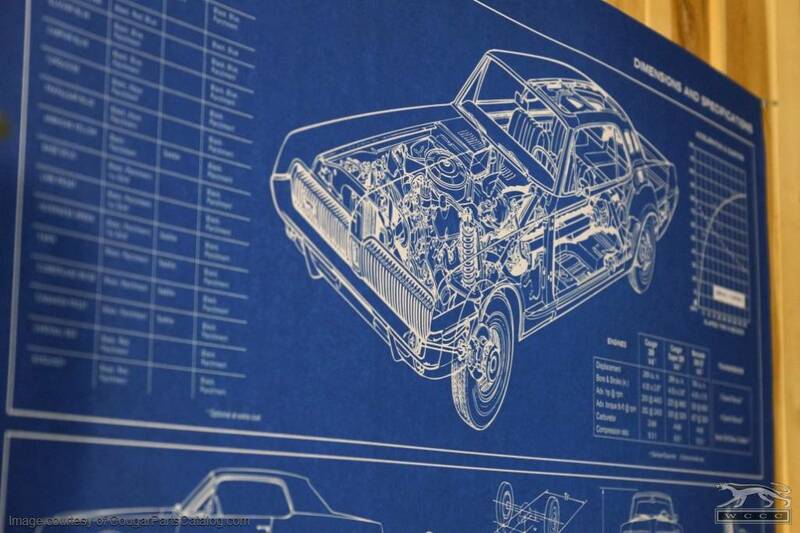 satin bond paper, it has the look and feel of a real blueprint, with the durability of an archival art print. 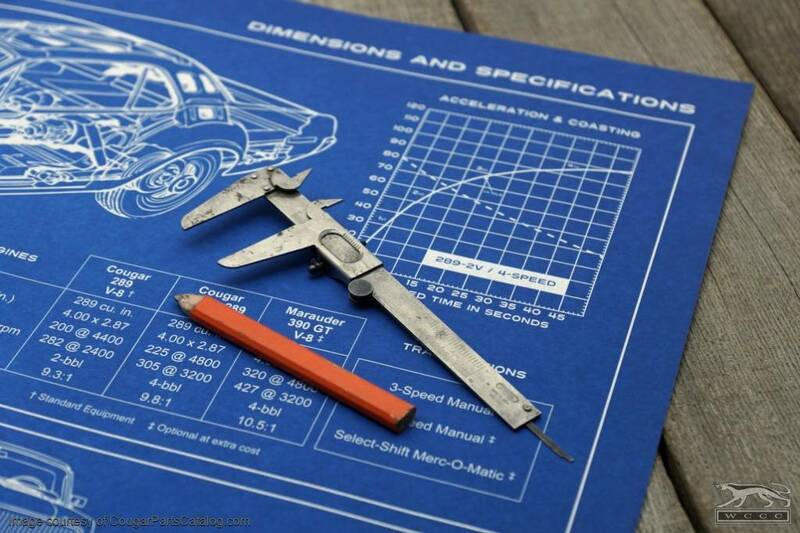 Measuring a full 24"x36", it's an eye-catching piece to hang on your wall. I received this poster from my daughter for my birthday this February. 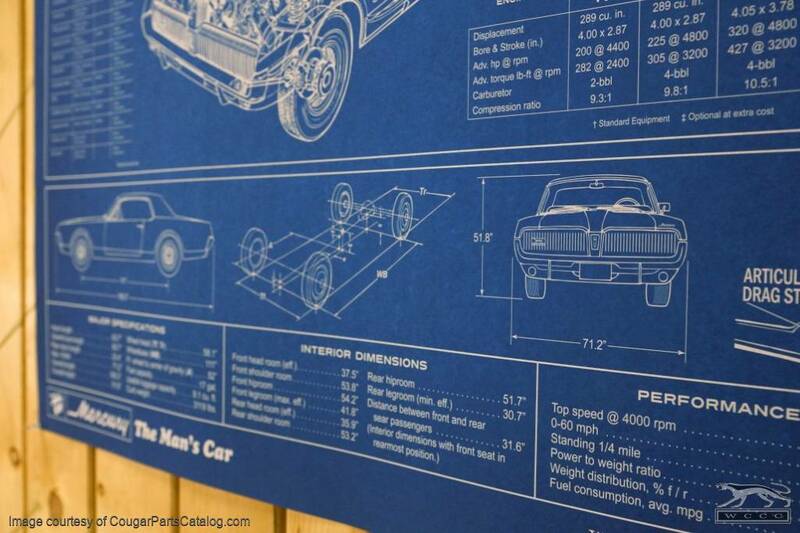 The quality is very nice and is of heavy card stock, perfect for framing. 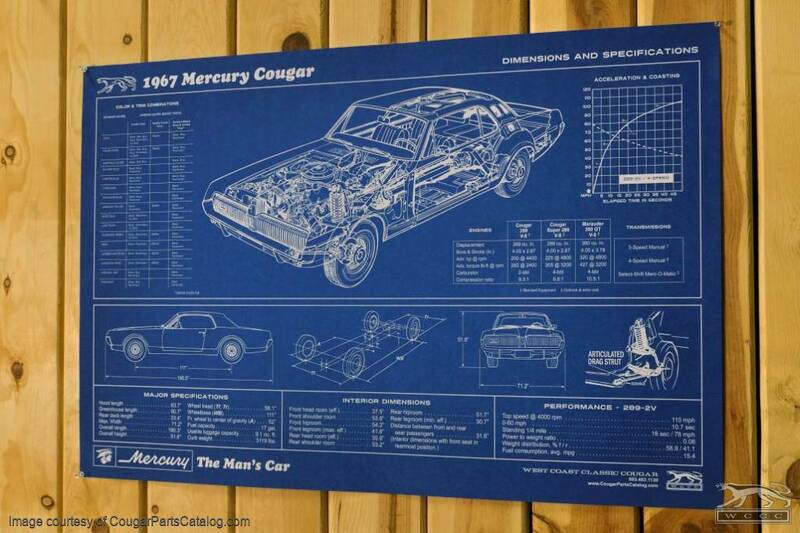 Can't wait to get it hung in my garage. Nice thick high quality poster. It is shipped rolled up in a tube so there are no folds or bends in it. Was packaged well and showed up I damaged. 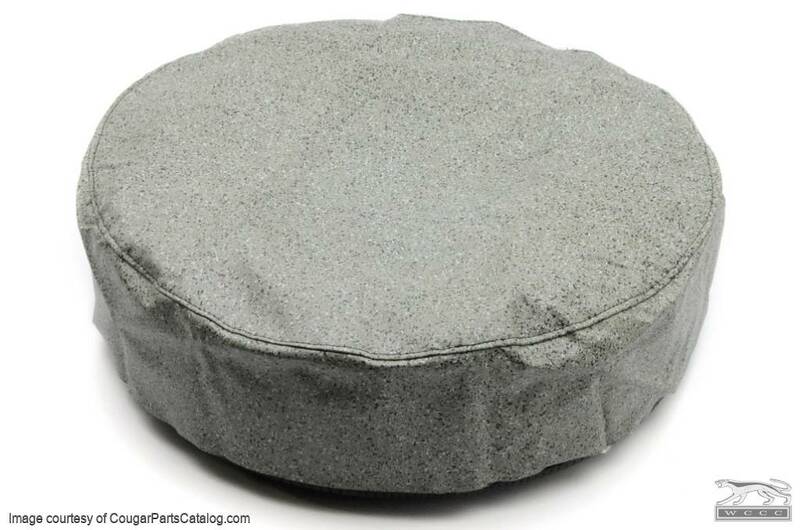 Just roll it out and let it flatten out for a day or two with something to hold it flat if you want to put it in a frame and your good to go. This poster is a quality made piece, without a doubt a lot of energy went into its production. 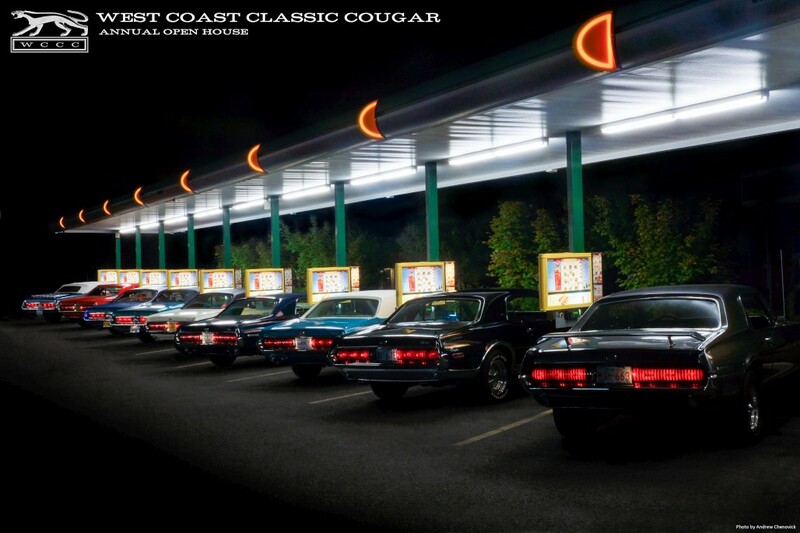 I bought it even though I have a 68, I think it complements the other Cougar memorabilia I have hanging in the garage. Only downside is the typo in "Distance between front and rear seat(r) passengers", which bothers me when I get into reading the details while taking a break in the garage... Overall a quality product, hopefully on the next publication that typo will be corrected. WCCC Response: Thanks for pointing out the typo! We never noticed... It has been fixed, so they are now typo-free!